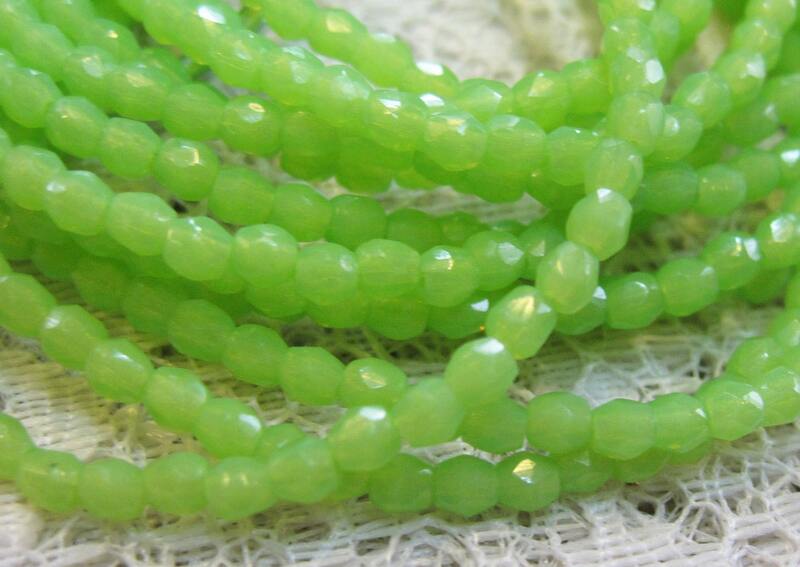 One strand of 50 opaque green mantis Czech fire polished crystal beads. These beads measure 3mm. Add some sparkle to your jewelry creations! A really pretty shade of green that's soft but well saturated. I love working with tiny beads and these are perfect to create variation.